Home > Pass the salt… or pass on salt? Salt gets a bad rap sometimes. On the plus side, salt helps maintain the proper balance of fluids in our bodies and it supports muscle and nerve function. Too much of it, however, can cause high blood pressure and other serious health problems. While it’s true that children aren’t generally affected by health problems associated with eating too much salt, developing good eating habits at a young age will help them avoid these problems in the future. 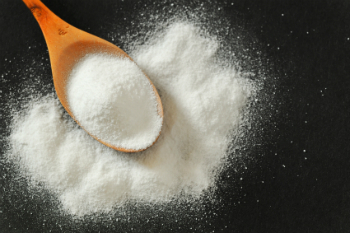 Canadians, on average, consume 3400 mg/day of salt, the equivalent of two teaspoons of salt a day. Sprinkling salt on food or adding it to dishes while cooking is not where most of our salt comes from though. According to healthycanadians.ca, almost 80% of the sodium we eat comes from processed and packaged foods such as baked goods, pasta dishes, stews, processed meats, soups and cheese. However, sometimes just a simple shift in purchasing habits—less packaged food and more fruits and vegetables, for example—will result in an immediate decrease in salt consumption. In 2012, Health Canada introduced new guidelines for salt consumption for all age groups. Their recommendations for adults is a maximum of 2200 mg/day. Recommendations from other organizations vary, but most agree that Canadians need to reduce their salt intake. The recommended amounts for babies might seem very low but here’s a little-known fact: salt is an acquired taste, so babies and toddlers don’t need salt to make their food more palatable. You can therefore introduce salt slowly and in moderation to develop their taste for it. If your children are older and already consuming a lot of salt, you should look at ways to reduce their salt intake. All ready-made foods have salt in them, so start by looking where you can make a few different choices. The nutrition table found on all food packaging lists the ‘sodium’ amount so it’s easy to see how much salt is in each serving. Another sure way to monitor your family’s salt intake is to cook from scratch more often. It’s not always easy to find the time when the entire family is out of the house all day, but when you can do it, you’ll be able to decide how much salt goes in. As your kids get older, get them into the habit of checking the sodium content in foods they buy on their own. But remember: low-salt doesn’t always mean it’s a smart choice. Sometimes salt is left out but other things are put in. The key, once again, is everything in moderation.